The Canadian Mental Health Association Ontario is a provincial association, committed to improving services and support for individuals with mental illness and their families, and to the promotion of mental health for all Ontarians. CMHA Ontario wishes to provide comment and suggestions for improvements to Bill 139. The proposed legislation, which makes amendments to the Employment Standards Act as it pertains to temporary help agencies, is a positive step in providing protection for precarious workers employed through such agencies. Access to economic resources can be limiting for persons with serious mental illness, with sustainable employment creating a particular challenge. Workers living with mental illness have a disproportionately higher rate of exclusion from skills training and education than non-disabled workers, leaving them vulnerable to low-paying work in temporary positions, such as that provided through temporary help agencies. With amendments to specific sections of the legislation, this bill holds the promise of strengthening a worker’s rights under the Employment Standards Act and protection of their full earnings. It also provides the possibility of securing sustainable employment afforded workers in other more stable work environments. Taking a broader approach, the following proposed amendments will provide the labour market with healthier workers who will place fewer burdens on our social programs. Often assignment employees are not provided with full disclosure of employer information, such as legal name of client, contact information of client, hours of work assignment, wage rate, or job description. The absence of this information is problematic on a number of grounds. It introduces an element of uncertainty in the worker’s life, which can result in increased stress. At a systems level it also prevents assignment workers from enforcing their rights (for example to unpaid wages) under the Employment Standards Act. The proposed amendments address some aspects of this issue, but need to go further by adding the following two amendments. Firstly, to stipulate the duration of an assignment, allowing the worker to plan their day. This is especially important for a person who has a mental illness and counts on the stability of routine tasks to manage their illness. Secondly, require client companies to sign off on placement arrangements. In the case of a dispute this will allow the assignment employee to hold the client accountable for any actions for which the assignment worker can expect payment. Research shows that workers employed through temporary agencies make wages that are 40% less than their directly hired co-workers. In an industry that is already known for low-wage employment, requiring workers to pay multiple agency fees erodes their earning potential placing a significant health and financial burden on them. The proposed amendment that prohibits charging fees to the assignment worker is a positive move toward worker protection; however, to be effective, this must be complemented by amending the definition of “temporary help agencies” in section 74.1 to read “employment agencies.” Widening the scope of these agencies will prohibit agencies from operating outside the narrow definition of “temporary help agencies,” preventing them from simply substituting one set of fees for another. Section 74.8 (1) clause 4 and 5 prohibits temporary agencies from charging their clients a permanent placement fee for hiring assignment workers directly. This change will improve the temporary worker’s chance at securing a permanent position at the same rate of pay as their directly hired co-workers. However, the six month rule introduced in section 74.8(2) limits the full benefit of this change. Section 74.8 (2) gives the agency the right to charge the client a placement fee for the first six months of employment that workers are assigned to them. Rather than increase sustainable employment opportunities, this clause instead may potentially set up employment practices that could trap low-wage workers in a precarious form of employment for at least six months. The six month rule is particularly problematic for persons with mental illness for whom job retention is already a concern. CMHA Ontario recommends that section 74.8 be removed in its entirety. Section 74.11 of Bill 139 would allow temporary agency workers to be deemed terminated by the agency and thus entitled to severance only after they have gone 35 consecutive weeks without an assignment. Further, this 35 week period begins over if the worker is unable for work for one or more days during that 35 week period. For workers with mental health issues, this condition makes it improbable that temporary employees with serious mental illness will be any more eligible for severance than they were before this bill was introduced. Due to the cyclical nature of mental illness, work may be interrupted for short periods to address mental health concerns. 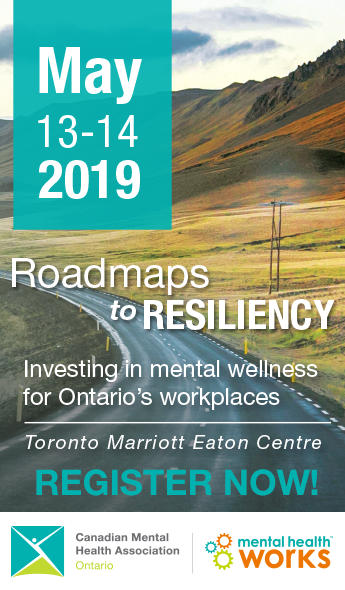 CMHA Ontario suggests that the most equitable way to address this concern is to have temporary agency work follow the same rules as other employers and employees for termination and severance rights. We invite you to contact us if you would like to discuss these matters further.